Previously I’ve created simple MVP and some mockups of Photochooser. So the next step should be making the real application looks and behaves like mockups. The code is still messy, but it slowly, but steadily evolves. I have a couple of methods instead of one. Because I want to write tests the next step will probably be splitting the code into several modules – the ones responsible for displaying and those responsible for logic. It’s worth mention that Python hasn’t standardized way to place tests. Some say that test should be placed next to tested module, some other place them inside tests directory. 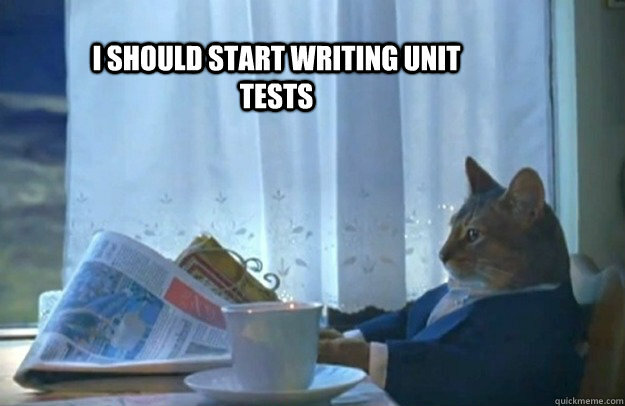 I’ve decided to use the latter, and create src directory for modules and tests for tests. One more thing – to make module visible from the tests I’d to create empty file __init__.py next to it. I don’t know how it works exactly but without it, the module won’t be visible for another one, including tests. The test itself is not really something worth mention, but writing it caused some serious changes in the code. The structure is much flexible now, it’ll be easy to add more modules and tests without losing clarity. As you can see I’ve changed photochooser.py to app.py – this file will be the main module displaying GUI and so on, and the logic will be placed in another module. Separation of concerns. I think my current way for creating the app – writing some feature and refactor and improve the code is the right one. So next time I’ll write maybe settings window, or implement SQLite database for storing data. Something like that. And maybe I’ll split the code into modules and write some tests. If you want to dive into code, here it is, enjoy.